How Much Do Dogs Sleep – Most dogs sleep 12 – 14 hours per day. Large dog breeds can sleep up to 18 hours a day. Is Your Dog Sleeping Too Much? When To Worry? New pet owners aren’t that much different from frazzled and anxious first-time parents. They spend a lot of time just watching their baby sleep, basking in the love they feel for this new little creature entrusted in their care, and probably worrying if their fur-baby is ok. Is the puppy breathing too fast? Breathing too slow? Should they let it sleep? Should they wake it up to feed it? Like any good parent, fur parents — especially first-time fur parents — worry about and get anxious over their puppy’s well-being, too. The great thing about dogs is that they are not very high maintenance! Unlike human babies, you do not have to sleep train a dog. They will pretty much follow their own sleep patterns. They will eat, they will play, they will go potty, and they will nap many times in between. And they will not die without constant human supervision (phew). You can generally leave them alone and they will be fine. Dogs can fend for themselves. As long as you make sure they have access to water, and as long as they are fed often enough, they don’t need their fur parents hovering over them. 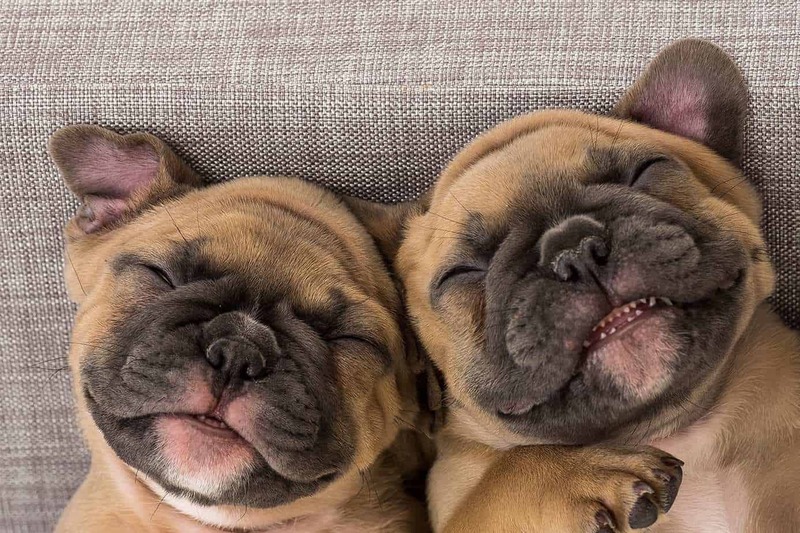 Puppies sleep 18 to 20 hours per day. An exception to this is if you are taking care of a puppy that is under four weeks old. It means that it hasn’t been weaned and is too young to eat solid dog food. This could happen for a variety of reasons. Perhaps the puppy was abandoned or forcefully separated from its mother and the rest of the litter. Perhaps the mom is neglectful. Mother dogs are incredibly nurturing and protective in general but there have been some cases where the mom dog will refuse to nurse her puppies. She could be suffering from mastitis, or the inflammation of the breast tissues that cause infections, a condition that’s quite common to new human mothers as well. This would make it painful for any mom to carry on breastfeeding. 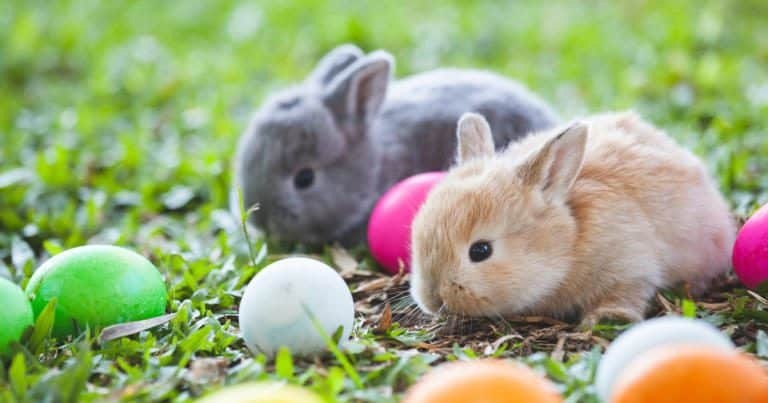 If that is the case, the dog owner or fur parent will have to take over feeding duties for the puppies via a baby bottle or a syringe, depending on the breed or size of the puppy. Get ready for lots of sleepless nights! 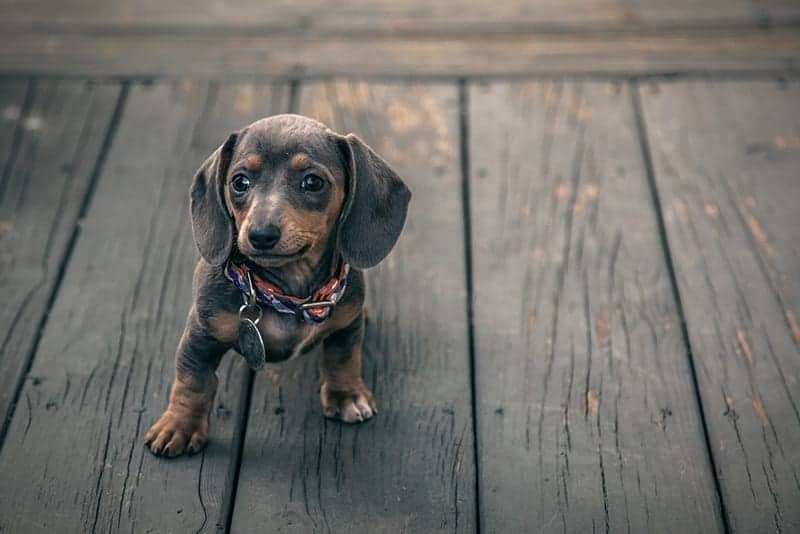 In the first week of its life, a puppy will need to be fed as often as every two hours, a lot like a newborn baby. Like most all newborn creatures, it only needs three things: to nurse, to sleep, and to be kept warm. Let it sleep as much as it wants, and don’t keep disturbing him by picking him up and stroking him. Pick up the puppy only when necessary, like when it’s time to feed it. It can’t do much anything else but sleep in its first and second week. As the days and weeks go by, your puppy will start to open its eyes and explore its surroundings. Pretty soon, it will get into scrapes and high jinx and you will find yourself chasing the little puppy around. Sleep is still crucial for the puppy at this stage and he will probably spend a total of 20 hours in a day sleeping. Dogs sleep 12 to 14 hours per day. Large dog breeds can sleep up to 18 hours a day. 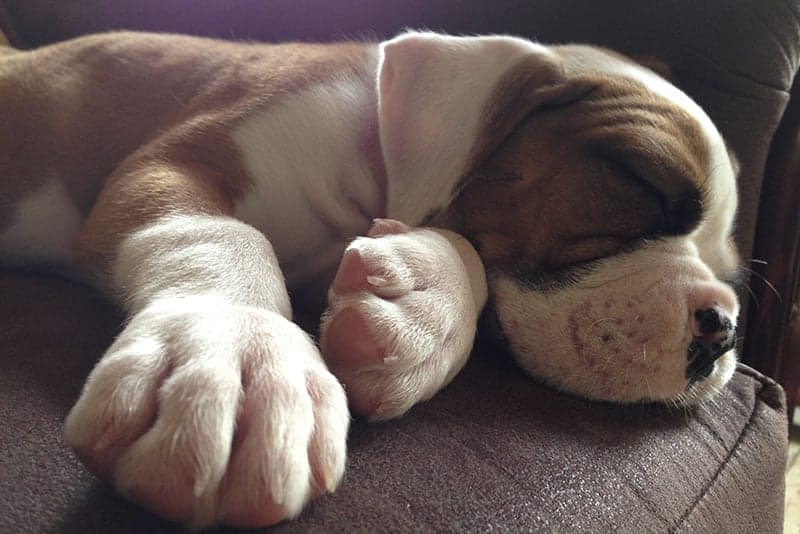 Once your dog is past the puppy stage, his average sleeping time per day goes down to 12 to 14 hours. 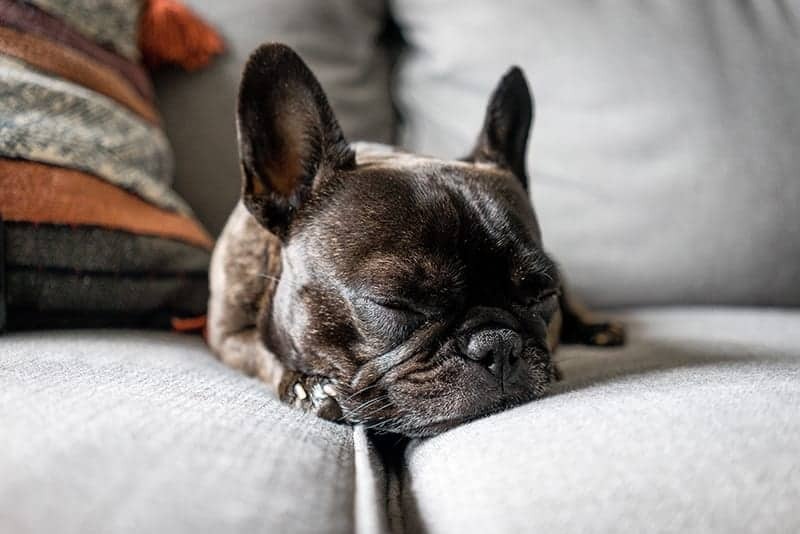 Exactly how much sleep a dog needs will depend on a number of factors including, breed of dog, size of dog, diet, overall dog health, and regular daily activities or amount of exercise the dog gets. Larger breeds tend to sleep longer in a day than smaller breeds. Working dogs like a border collie that herds sheep on a farm, or law enforcement or a bomb-sniffing German shepherd will tend to sleep less just because their day is pretty full and busy. A dog who is left alone at home or in the yard will be sleeping more, because what else is there for a dog to do? Do you share your bed with your dog? If so, you need to read this. Older dogs sleep 12 to 14 hours per day. Additionally require more rest througout the day. Although it’s different depending on dog breeds and sizes, in general, seven years old is considered “senior”. For a dog. The smaller breeds of dogs like the chihuahua, terriers, and toy poodles tend to enjoy a longer lifespan on average and are therefore not really considered “senior” until they turn 10. For larger breeds like the great Dane, great Pyrenee, Labrador, Malamute, and Golden Retriever, once they reach their fifth year, they are considered quite advanced in years. You might be wondering why do dogs sleep so much, especially your senior dog. Well, it might actually be because of boredom and lack of stimulation. 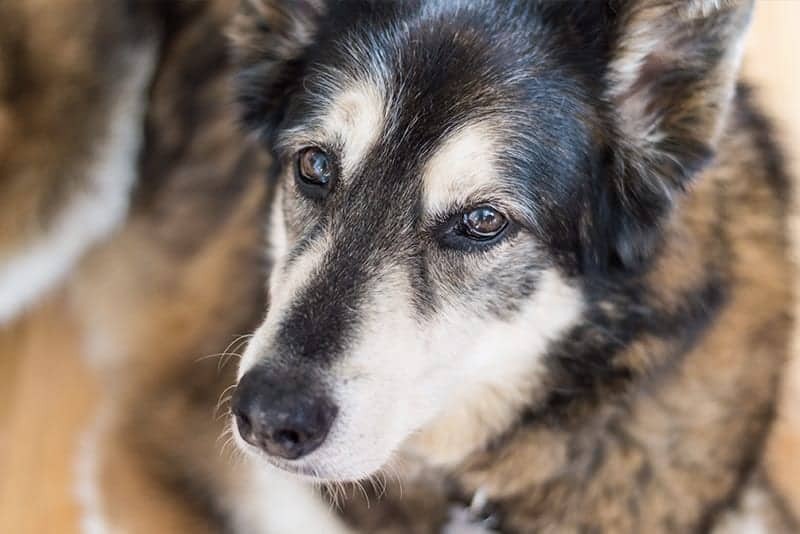 Once a dog crosses that “old dog” threshold, your faithful and loving companion may no longer be the fun and lively ball of energy that he once was, but he is no less deserving of your love and devotion. A dog in his golden years doesn’t need much. You will no longer need to walk him or exercise him as often to help him burn all the excess energy. A senior dog might even have some mobility issues like arthritis or hip dysplasia and he will prefer to just sit by your feet in companionable silence and calm. He will also revert back to the sleeping habits of puppyhood and will nap on and off throughout the day for a total of 16 to 18 hours. Make sure your dog has a warm and comfy bed to rest his old bones. Don’t stop exercising or playing with him, even at his advanced age, he will still require some mental and physical stimulation. 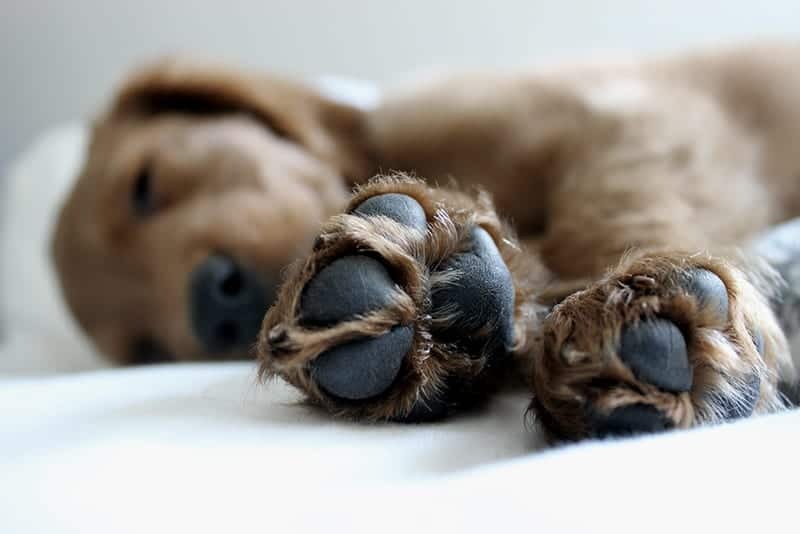 Your furry friend also goes through different stages of sleep and REM sleep, much like humans and other mammals. One big difference is, humans sleep in long stretches at nights—they should, anyway! Dogs, on the other hand, sleep long hours in total, but they sleep in little increments. These may be short bursts of sleep but they are a deep sleep. A dog’s heart rate drops and the breathing slows down. In as little as 10 minutes, they will go into REM sleep and will even start to dream. If you look closely, you will see their eyes rolling around under their eyelids, hence the name Rapid Eye Movement. It’s a sign of healthy brain activity. The may start to twitch and squirm, probably dreaming of playing fetch with you. Because dogs are protectors, their instincts and senses are always on high alert, even when they are sleeping. They will wake up very easily. The slightest sound and the littlest disturbance will rouse them. Dogs sleep a lot so this in itself is not a cause for concern. However, if you notice changes in your dog’s regular sleep pattern or sleep habits, it definitely wouldn’t hurt to pay closer attention. If you observe your dog to be lethargic or unable to eat, along with the changes in sleeping patterns or excessive sleeping, there could be something there. Take your dog to a vet right away. Lethargy, which some pet owners might confuse with excessive sleepiness, is a common symptom of many doggie diseases and ailments. This includes the parvovirus, hypothyroidism, diabetes, and even depression. Yes, dogs can suffer from depression too. Much like humans, major life changes and disruptions will also affect a dog’s sleeping patterns. 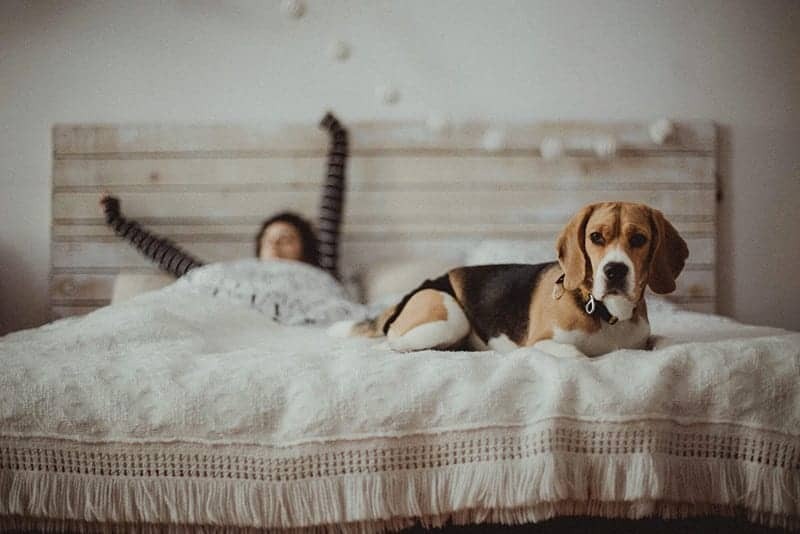 Death of a beloved human or a canine friend, a new environment, recovery from surgery, jealousy from a new member of the family, and many other things can result in a sleep disturbance in your dog. Their sleeping habits should return to normal eventually. Dogs breeds with short snouts, like Pugs, Bulldogs, and Pekingese commonly suffer from sleep apnea. This can cause them to snore or experience restless sleep which may result in tiredness and poor appetite. As with humans, quality of sleep matters as well, not just the number of hours spent sleeping. To make sure your dog sleeps comfortably and efficiently, give him enough exercise every day to help him expend excess energy. This makes it easier for them to fall asleep. Make sure your dog is eating well and sufficiently. Get enough nutrition in his diet and do not over or under feed him. Don’t neglect his regular visits to the vet to make sure he is healthy and happy. Most importantly, make sure your dog has a quiet and comfortable place to retire. You might want to give him his own doggy bed. Some owners prefer to co-sleep with their dogs. Others keep their pets on kennels and cages at nights. Either way, make sure the dog is warm and dry and has ample space to curl up, stretch, and roll over in their sleep as dogs sometimes do. Give them their own blanket or chew toy to provide them with a sense of comfort and belonging. These loyal creatures know nothing but love for their masters and they deserve to be treated kindly and with consideration. Did you know there’s a ‘correct’ way to share the bed with your cat?! See here.